Front line leaders, have you set your team’s 2017 goals yet? Your organization’s success depends on your team doing their job well, so how are you going to lead them to excellence? Note, I said your team’s goals. A goal must be Specific – this is the who, what, where, when, why and how of the end game. What exactly is your team trying to achieve? 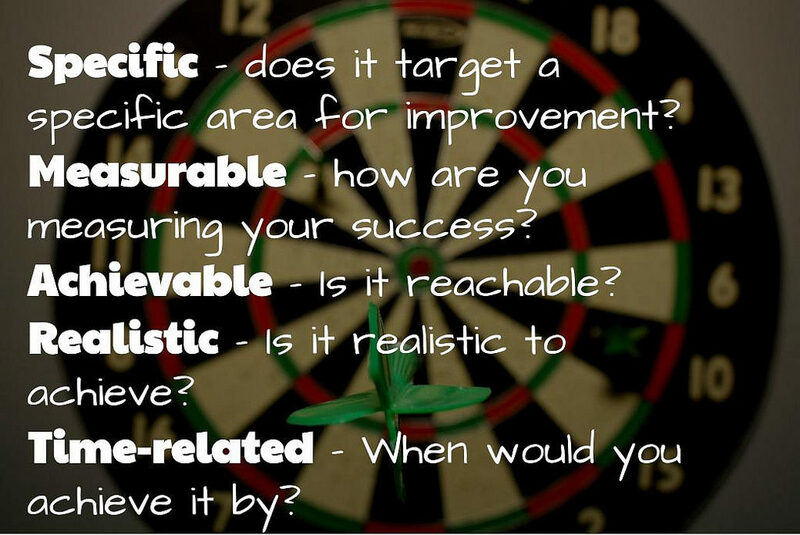 A goal must be Measurable – otherwise, how will you know when your team meets the goal? Put the numbers to it – both current state and future state so you can measure progress along the way. A goal must be Achievable – if your team doesn’t feel the goal can be reached, they will feel defeated before the new year even begins. A goal must be Realistic – be prepared to inspire confidence in the goal, the plan to get there, and the team’s ability to do the hard work. A goal must be Time-bound – if a goal has no timeframe attached to it, your team will have no sense of urgency to achieve it. Establish a goal date as well as key milestone dates to measure the team’s progress. And, don’t forget, when the goal is reached, celebrate! Photo credit: Smart Goals by Aaron Davis used with Creative Commons license.